B&L Cleaning Services provides a complete commercial landscape maintenance and garden care service, which includes tasks as diverse as lawn care and maintenance, shrub reshaping and pruning, feeding and fertilising, hedge cutting and trimming, and anything else which keeps commercial gardens clean and maintained. 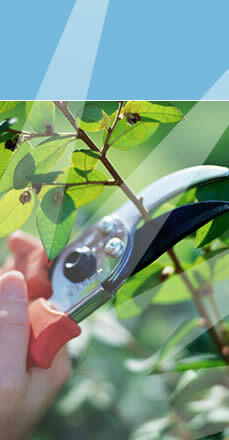 We provide our garden maintenance and support services throughout Widnes, Cheshire and across the whole of the North West of England. The Garden maintenance services we provide are tailored to each of our client's requirements and are further modified to match the individual nature of each commercial landscape or garden we maintain. The land we maintain can range in size and layout from small communal or private areas outside offices, hospitals, colleges or houses through to large grounds attached to nursing homes or hotels. The garden maintenance services we provide at B&L Cleaning Services can range from a one off visit to simply get the garden and grounds into shape, or regular visits ensuring the garden stays clean, tidy and in shape all year round. Our garden maintenance services can be contracted on there own or combined with other services such as litter picking and window cleaning to offer a complete external package covering the grounds and the building. With over 25 years office maintenance experience at B&L and a work force of over 320 employees, we have perfected our services and use only the best equipment which ensures all our customers get the best garden maintenance service available. If you want better garden maintenance and to reduce your current garden maintenance costs, give us a call today on 0151 257 9091 and we will be happy to help you.